Anyone can buy our goodies and get the Gé-P-To neon blue look. If you need help, don’t hesitate to ask us. DEADLINE : March 8th, 2017 ! Check out our 2016-2017 goodies ! If you want to support our project OR if you want to look extremely cool with our Gé-P-To blue stuff, you can buy them using the attached form (fr). 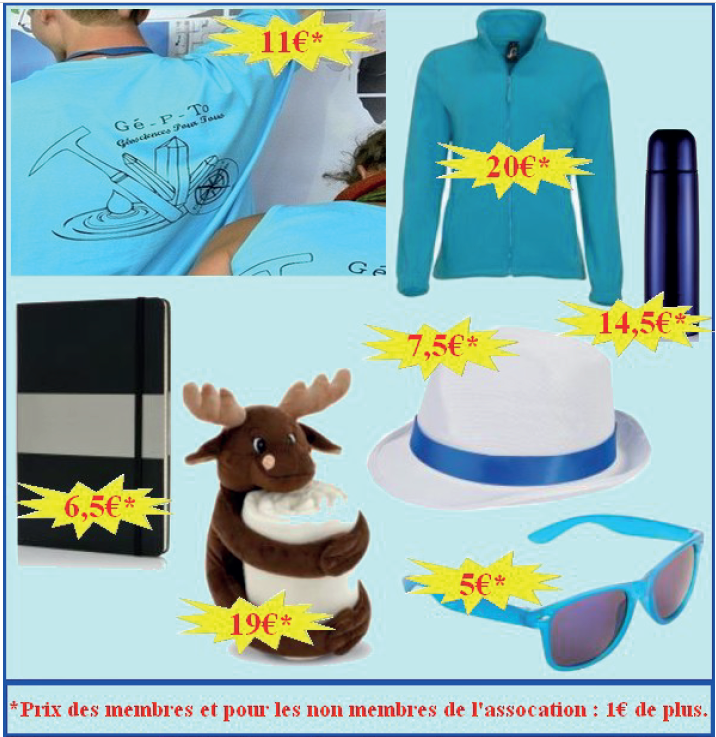 On the menu : blue T-shirts, blue tank-tops, black (but still slick) notebook, blue sunglasses, white and blue hat (we need it in summer ! ), blue thermos, blue sweater (fleece - we need it in winter !) and... the cutest looking blanket-with-a-moose-plush-toy-hugging-it ever. Just return the form to us by e-mail or in person.